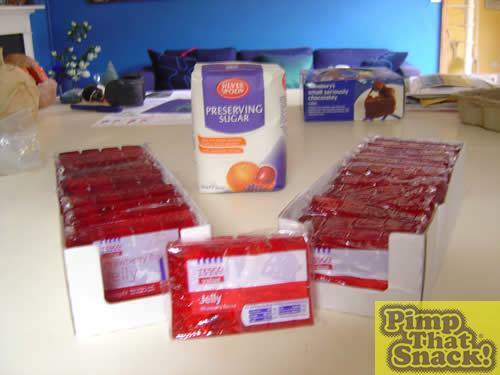 Whilst browsing Pimp that Snack with friends one day, our Fruit Pastille loving friend, Henry, suggested how good it would be to make a giant Fruit Pastille. 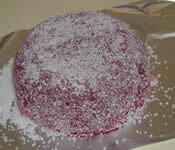 With his birthday coming up, my friend, Alistair, and I decided to make a giant Fruit Pastille for his 18th. A Pyrex bowl which will sit on top of the large pan. A large pastille shaped bowl roughly 22cm diameter, 10cm depth. 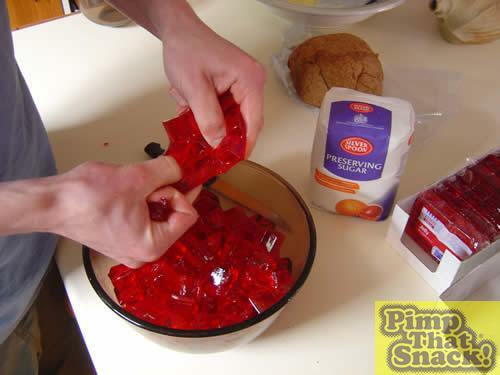 Start by breaking the packs of jelly into cubes and placing them in the Pyrex bowl, we couldn't fit all the jelly in at once so ending up doing two melting sessions. 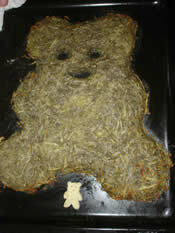 Fill the pan with enough water so the bottom of the Pyrex bowl sits in the water, then put it on the hob. Once the water is boiling, put the bowl of jelly on top of the pan and turn the heat down to stop the water exploding out the of pan. 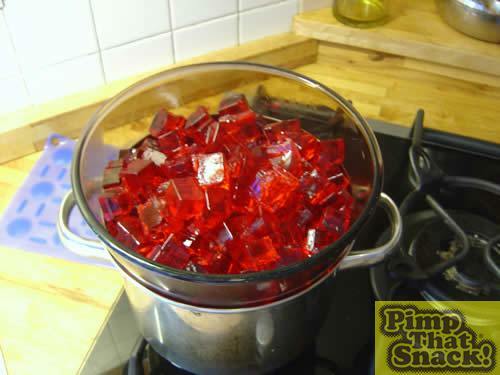 The jelly will start to melt, to help it along you might want to add a bit of boiling water, but not too much, you want the jelly to be as concentrated as possible.